Several first-person shooter games are available through the FreeBSD ports collection. 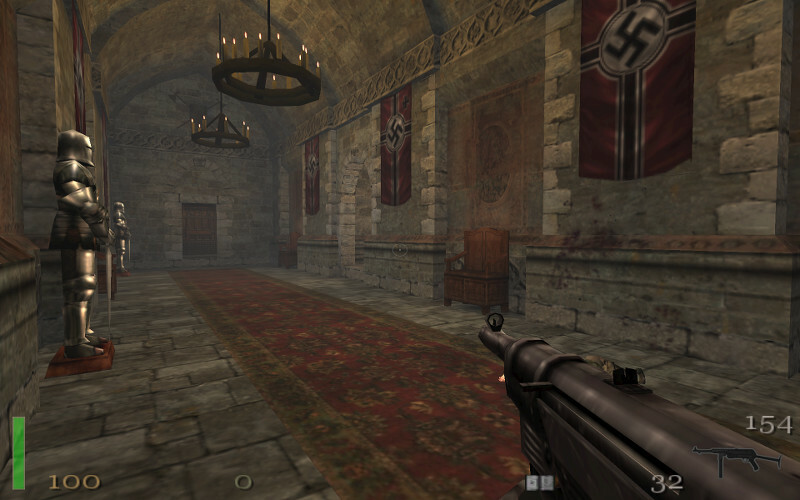 One of them is Return to Castle Wolfenstein (RtCW), the successor of Wolfenstein 3D. The port is based on the Linux version and requires the Linux binary compatibility layer for FreeBSD to run. The game can be started by running wolfsp.amd64 (on FreeBSD x86-64). The field of view variable cg_fov should be set to 106.27 at 16:9 and 100.39 at 16:10. If the game crashes at some scenes, for instance, at the ropeway sequence, the aspect ratio must be set to 4:3 temporary as a work around.